The use of Social Media is an excellent way for businesses to reach out to their customers but some companies still remain unsure. B2B organisations should at least be involved in communities and social networks where their customers already are. Social media describes the online technologies that people use to share opinions, insights, experiences, and perspectives with each other. It can take many different forms, including text, images, audio, and video. LinkedIn is a social media network that is specifically built for professionals that focus on developing business relationships. If your business doesn’t have a company profile on LinkedIn, it’s missing out on excellent connection opportunities. LinkedIn company profiles allow businesses to highlight their products, services and available job opportunities, facilitating outreach to new talent and partners. Develop an active presence on your company page by posting press releases, relevant blogs, corporate literature and event announcements. 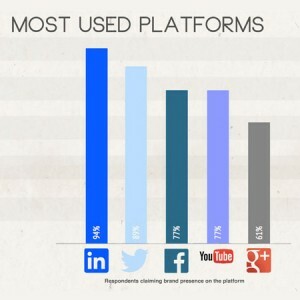 This will increase your brand’s visibility on the network and engage the attention of business users. Marketers can also take advantage of paid promotions through LinkedIn Ads that target specific demographics, industries and locations, capturing new leads. 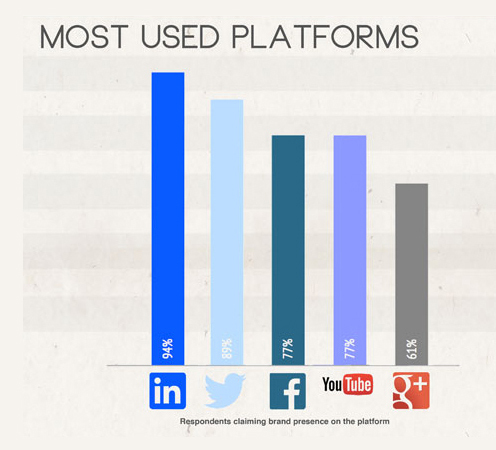 In terms of B2B marketing, if you just wanted to use just one platform LinkedIn would be the best one to use. Twitter plays a big part in regard to B2B communication. It may be a fast-paced, short-form communication channel, but that enables businesses to make consistent, repeated impressions on other industry members. Business professionals are active on Twitter, using the network to discover industry news, events and other relevant content. The expansive nature of Twitter makes it a great place to develop new business connections. Facebook has more than 750 million users. The social network has become a representative sample of the world’s population. It is usually used by consumers but it can also be just as affective for marketing businesses. As a company selling to other companies, Facebook serves as an important tool for generating leads and nurturing customer relationships. Facebook is good for B2b marketing as you can build a fan base, share engaging content, photos and videos, capture leads and contact information. You can amplify through ads, make it personal and fun, and segment and target to ensure you are reaching the right customer profile. Although Facebook is a proven consumer marketing tool it’s not normally the first choice for B2B companies.